Wheels themselves are a complicated subject. Wheels are made of many kinds of metals and range from bare polished metal to a variety of coatings. Combine that with the fact that brakes are also made up of varying materials and you now have a tough challenge for any wheel cleaner to master and an even tougher time choosing one that works. 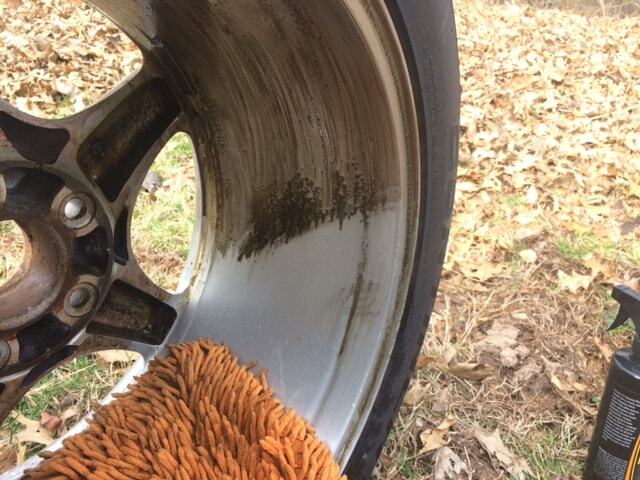 Most wheel cleaners rely on harsh solvents and acids to clean embedded brake dust, tar, and road film from wheels. 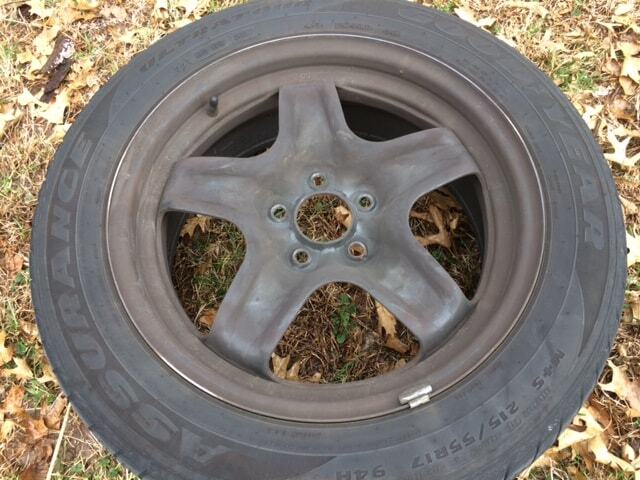 Use the wrong one on the wrong wheel and you’ll end up with discoloration at best and outright damage at worst. McKee’s 37 Foaming Wheel Cleaner Gel is advertised as being much gentler while still dissolving brake dust and iron particles. My suspicion is that, considering McKee’s 37 changes color when it starts dissolving iron, is that its ingredients are similar to that of most iron decontaminates like Iron-X or McKee’s 37’s own Xtreme Iron Remover and I expect it to work at least as well. The wheel cleaner comes with a screw on lid and accompanying sprayer. The first thing I noticed upon opening the bottle to attach the spray was that the cleaner had eaten through the protective seal. I suppose that’s a sign this stuff means business. The cleaner also doesn’t smell the greatest. It’s tolerable but it’s not pleasant. 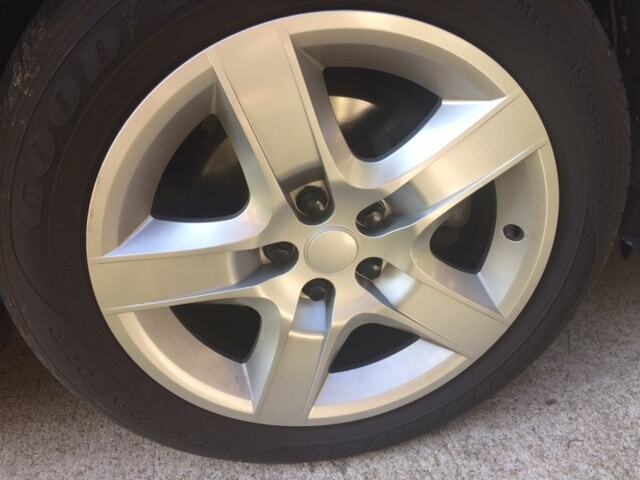 I tested the cleaner on a set of painted hubcaps from a 2010 G6. 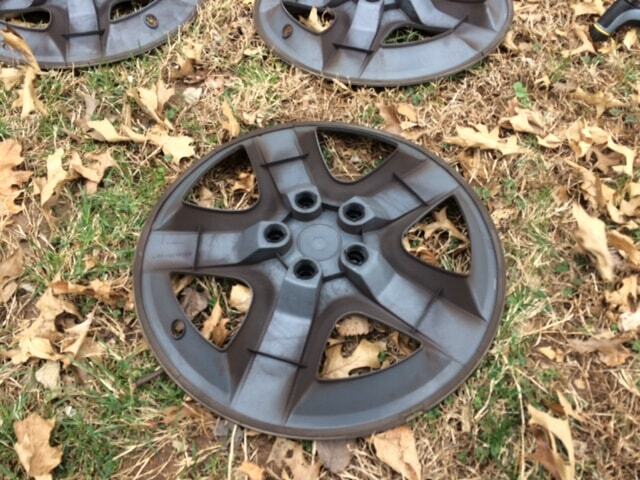 These hubcaps had recently been replaced and are cleaned every couple weeks by hand. As you can see the product still found ferrous particles to cling to and begin dissolving. If it doesn’t accomplish anything else, the color changing reaction is at least neat to watch and makes you feel like you’re doing something. The sprayer seemed to work OK (but not later, we’ll get into that in a bit) and provided an even spray when using. I can’t say that it sprayed any differently than any other wheel cleaners so I’m not sure where the gel part of the name came from. Another thing I noticed was the cleaner does not foam on its own. You have to scrub it for it to foam up. I’ve seen seen the manufacture make this statement when other reviewers have complained of the lack of foaming action. It’s not a big deal but it’s worth keeping in mind. After scrubbing and rinsing the wheel there was a definite difference in surface texture much like when decontaminating paint with an iron and fallout remover. Finally, after the tire started to dry there was noticeable discoloration in the rubber from the cleaner. I’m not super happy about that. Fortunately a quick wipe down with some CarPro PERL fixed the tire discoloration so it appears to be a superficial discoloration. It’s still more work I wasn’t anticipating. The above test was done a couple months ago. Winter kicked in and detailing projects went by the wayside. Well things have started warming up so I decided to tackle some aluminum wheels and the steel wheels under the hubcaps tested earlier. 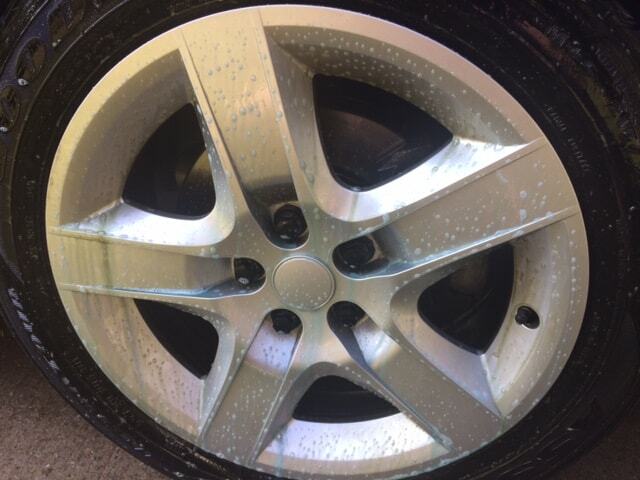 This gave me more opportunities to test the McKee’s 37 Foaming Wheel Cleaner Gel on different surfaces. 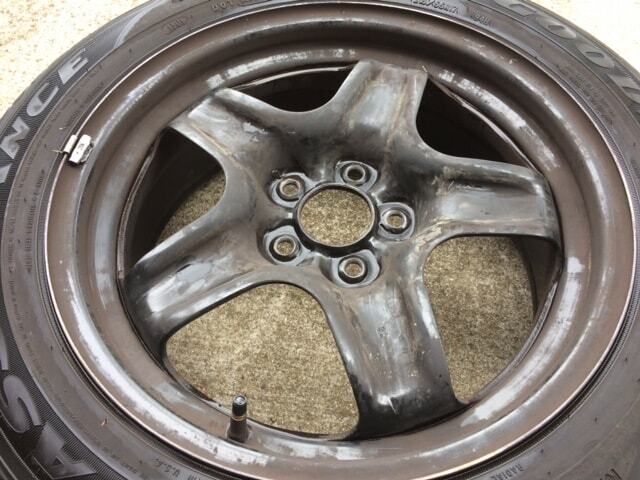 The steel wheels were painted and covered in years of brake dust and the aluminum wheels are raw aluminum that I stripped the clearcoat off of a few years ago. 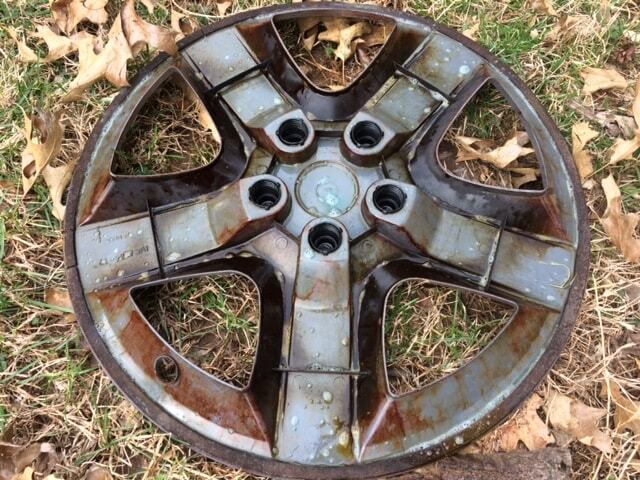 I first tested the cleaner on the back side of the hubcaps from the steel wheels. These have been collecting brake dust for about a year. I simply sprayed them down, waited a couple minutes for them to dwell, wiped with a microfiber chenille mitt, and then rinsed. As you can see they cleaned up pretty good. I could have got them perfect had I broke out a brush to get in the tight angles. I wasn’t trying to be perfect, just wanted to see what would happen. Overall, pretty satisfied. The next test was on the painted steel wheels themselves. I followed the same process. Spray, dwell, scrub, rinse. The results were a bit more lackluster this time. While the cleaner did cut through to paint on some of the 8 year old brake dust it failed to lift it all. I’m confident with several more cycles of spraying, dwelling, scrubbing, and rinsing I could have cleaned them completely. Finally, I tested the cleaner on the barrels of the aluminum wheels. 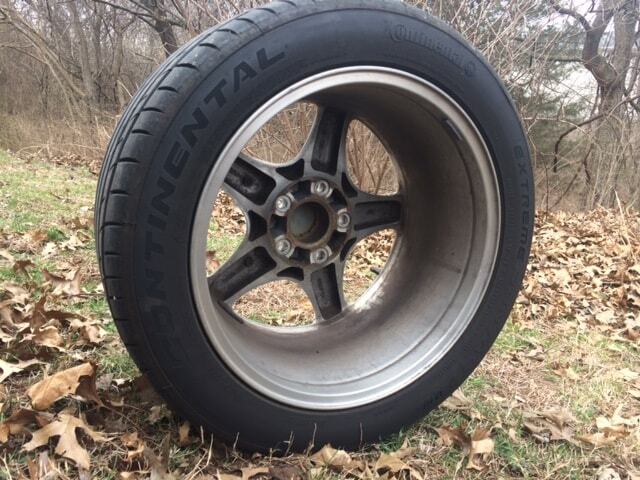 A couple years ago I restored the barrels of these wheels using Mothers Foaming Wheel and Tire Cleaner and Iron-X. Since then a fine layer of brake dust and rust deposits from wet rotors have built on the surface. I sprayed the barrels, let them dwell, scrubbed with a nylon brush, and then wiped them out with the microfiber mitt and rinsed them. As you can see, the results were great. The color change from the cleaner makes it a bit more dramatic that it would have seemed with a non color changing cleaner. 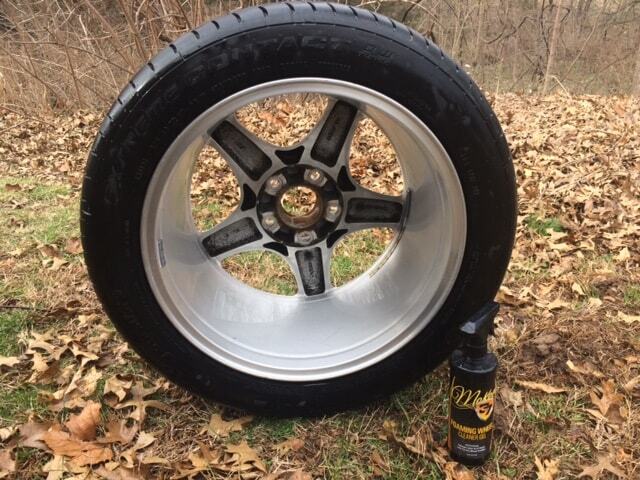 I can say this cleaner worked at least as well as the Mothers Foaming Wheel and Tire Cleaner I had used on these wheels the first time. 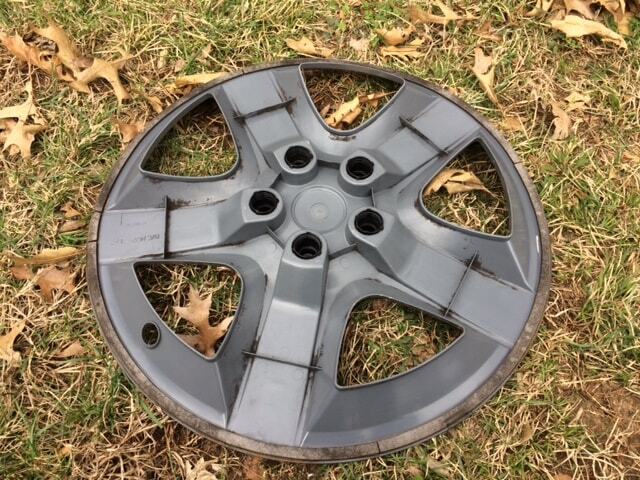 However, the same tire discoloration was noticed as before which I don’t get with the Mother’s cleaner. Keep that in mind when using this. Make sure you keep it off the rubber as best as you can and keep a good tire dressing on hand to clean up. 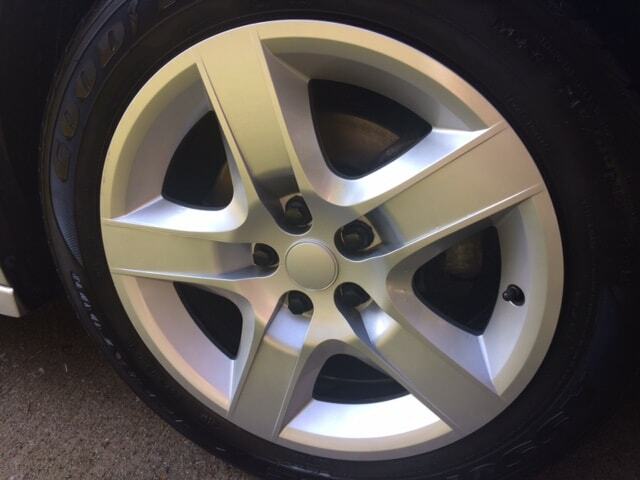 The wheel cleaner worked really well on decently maintained surfaces both painted and raw aluminum. It does foam when scrubbed. It does change color in the presence of brake dust as advertised. The cleaner doesn’t smell great and it discolors rubber. It also did not remove the years of brake dust on the painted steel wheels without a fair bit of elbow grease. 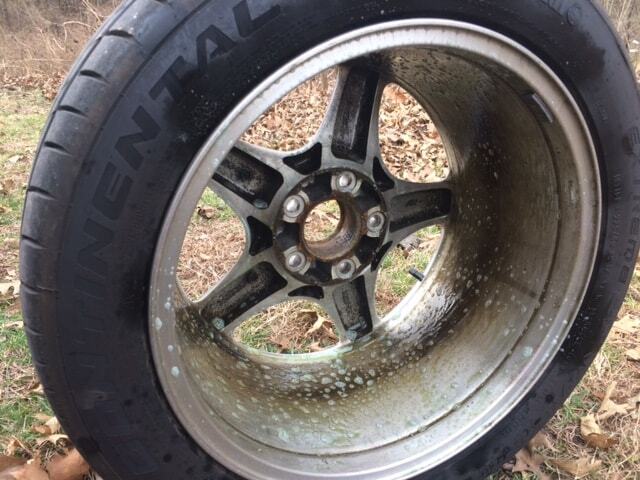 This would have likely been the case with any other wheel cleaner in my experience. I just point it out so you aren’t expecting miracles. Another bad thing, and this really bothered me, was that after sitting for a couple months the sprayer on the bottle didn’t work that great. I’m convinced something in the sprayer broke down from the chemicals in the cleaner. I’d get halfway through a wheel and it would just stop working and I would have to flush it with hot water to get to start working halfway decent again. This isn’t the first product from McKee’s 37 that I’ve used that had a sprayer fail on me. I’ve since learned to take the sprayers off and clear them with warm with warm water before storage. If you read this McKee’s 37, you really need to invest in higher quality sprayers. None of my other detailing chemicals have sprayers that fail like this and require me to maintain them. The product works as advertised. It cleans well, didn’t seem to harm the wheels, and is entertaining. I don’t like the smell, the sprayer that comes with the bottle, or the discoloration of the tires. I probably wont be buying this cleaner after it runs out. 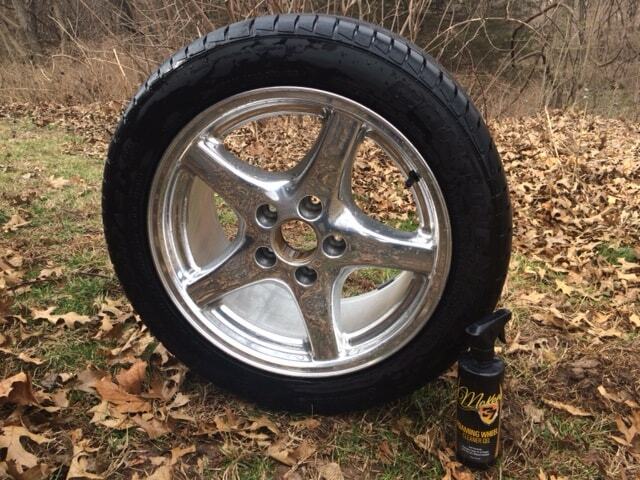 It doesn’t really do anything that Mother’s Foaming Wheel and Tire Cleaner or an iron and fallout remover doesn’t. That said, it’s not a bad product, just poorly executed.